Where tradition and modern comfort meet, you'll find this remarkable reclining chair. 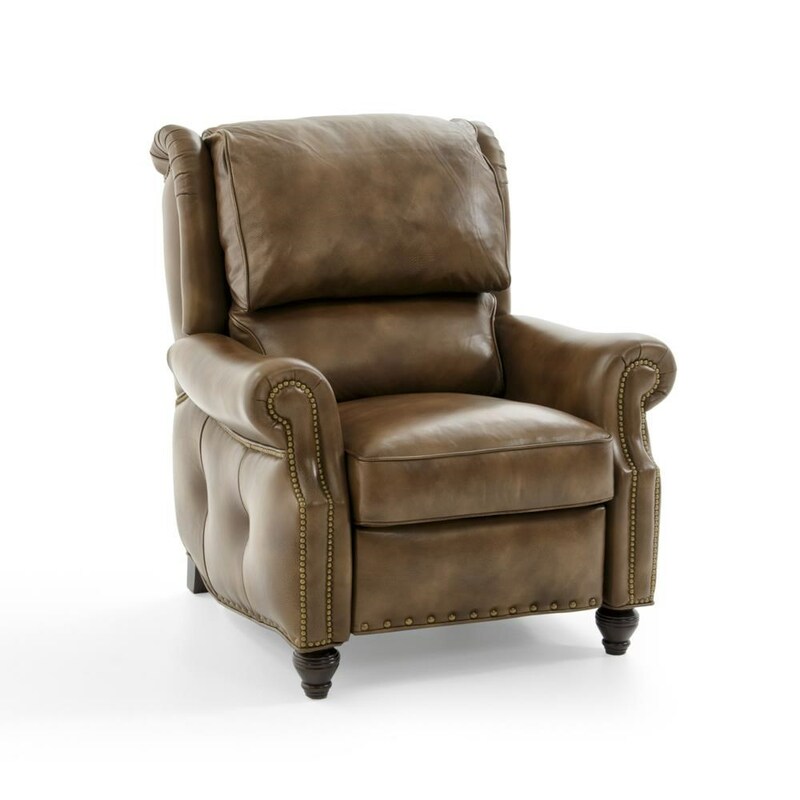 The push back recliner evokes a wood-paneled smoking room in a discerning gentleman's club with posh touches like a bustle back, two sizes of nails, and outer button tufting. Customize the look with any of our unique designer touches like customized nails, hand-painting, lacing, or custom stitching. A power motion option is also available for additional charge. The Westwood Traditional Push-Back Reclining Lounge Chair with Bustle Back and Outer Button Tufting by Hancock & Moore at Baer's Furniture in the Ft. Lauderdale, Ft. Myers, Orlando, Naples, Miami, Florida area. Product availability may vary. Contact us for the most current availability on this product. Frame Construction Solid build from Clear Maple hardwoods. The corners are double-doweled and reinforced with steel corner brackets that are screwed into place. That is how we ensure the joints will remain solid over the lifetime of the piece. Seat Support Eight-way hand-tied coil construction. This time consuming technique--typically found in antique chairs--involves tying each seat coil with heavy cord, using at least eight knots. 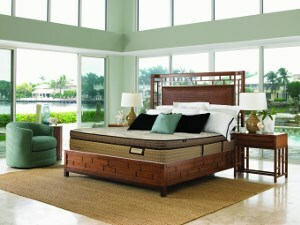 The result is firm, comfortable support that will last for years. Support for the back cushion is provided by sinuous wire springs for solid cushion support. Every aspect of this furniture tells a story of ageless design and time-tested craftsmanship. A team of craftsmen and craftswomen hand constructed the frame and then tie the 8-way hand tied springs. The upholstery is then hand-stitched by sewers, each with countless hours of apprenticeship, and the 21-step wood finish is meticulously applied with high-end details like distressing and burnishing. 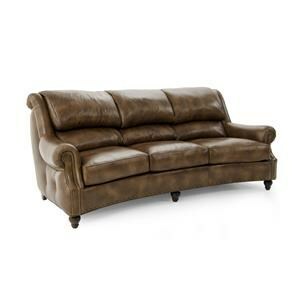 What you get is a sofa with a noticeable quality difference that's poised to provide years of beauty and comfort. 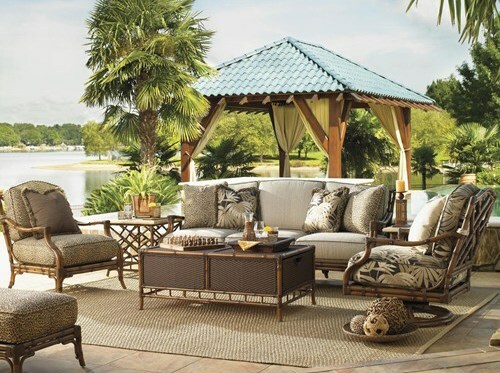 The Westwood collection is a great option if you are looking for Traditional furniture in the Ft. Lauderdale, Ft. Myers, Orlando, Naples, Miami, Florida area. Browse other items in the Westwood collection from Baer's Furniture in the Ft. Lauderdale, Ft. Myers, Orlando, Naples, Miami, Florida area.